Patient came in for a consultation with complaints about her breast being to large. After visiting with Dr. Fryer she decided to have a Breast Reduction Procedure with Anchor Lift. Dr. Richard Fryer, Utah top board certified plastic and cosmetic surgeon, performed a rapid recovery breast augmentation on patient AC and got the best most natural results. VG chose Dr. Richard Fryer, top board certified plastic and cosmetic surgeon in Utah, to perform a rapid recovery breast augmentation with the most natural results. GC chose Dr. Richard Fryer, top board certified plastic and cosmetic surgeon in Utah, to perform a rapid recovery breast augmentation with the most natural results. KG looked for the top board certified plastic surgeon in Utah to perform her rapid recovery breast augmentation and wanted the very best natural result, and she chose Dr. Richard Fryer. 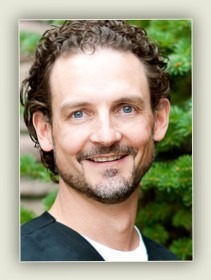 CF received a breast augmentation surgery by board certified plastic surgeon, Dr. Richard Fryer. LN chose Dr. Richard Fryer, top board certified plastic and cosmetic surgeon in Utah, to perform a rapid recovery breast augmentation with the most natural results.